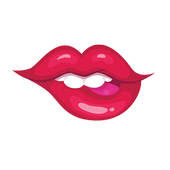 This app includes a large set of lips packages for WhatsApp. Now express yourself using awesome lip stickers with WAStickerApps. Enjoy stickers to send your friends! Note: This is a third-party application and is no longer linked to VoiceSep Inc.. If you have any problems, update the latest version of your WhatsApp.